Over the past 5 years video marketing has become a staple in any effort to market a service, product, organisation, brand or individual. Stories have the power to make your audience feel something and evoke an emotion, and storytelling through video is a tool that’s used in a smart way by many companies. 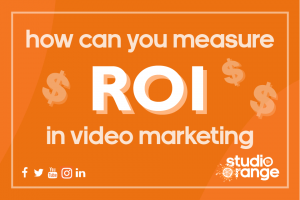 With video marketing being a new trend comes a challenge discussed by many business owners; how do you measure the return on investment with video marketing? 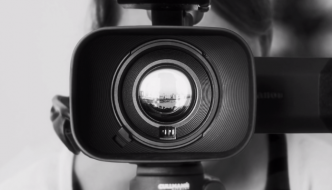 Small businesses and larger organisations can make a big impact using video storytelling. 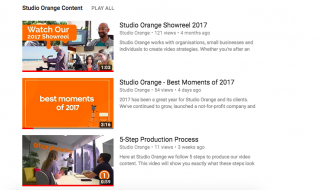 When spending a good chunk of your budget on creating and promoting videos, you’d at least want to be able to optimise the videos distribution and reach your desired outcome. How can you measure the results of your video marketing activities? Any campaign starts with determining a desired outcome. By asking the question, ‘what do we want to achieve?’, you can set your activities up to actually reach that goal. a focus on educating your audience about this new product, then once trust has been built you might be focussed on generating leads and from there the priority is on closing the lead and making a sale. 1: How many people were educated, how many views? 2: How many people registered their details or clicked through to a landing page? 3: How many of the people that clicked through purchased the product? Choosing channels is a really important step in any campaign. 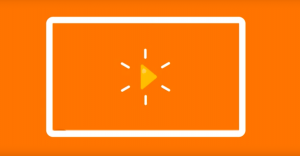 Choosing channels goes beyond just posting one video that runs for 90 seconds and hoping for the best. In any campaign, tweaking the video to suit that specific channel and its audience will be more effective and helps communicate. In any case you have to be able to look at your analytics. This is why you’ll want to post your video on the different chosen channels and then use it’s back-end analytics functionality. Most channels have good analytics and allow you to measure views, impressions, clicks and engagement. For a basic campaign there is no real need to invest in a more complex analytics tool, just using the available tools each channel comes with and monitoring it in your own spreadsheet will do. Which brings me to my next point. Monitor your campaign on a daily basis to track progress and handle any leads, enquiries, sign-ups, etc, without delay. If someone wants to learn more and reached out or makes contact, they do not want to wait for days for your response. Tweak your campaign along the way based on the responses you get from those interested. Do all the leads ask the same question? You probably want to include more information about this question in the campaign in the first instance. When it comes to analysing your results you always have to make sure to give your campaign time. You can not look at results after the first day an ad is running and draw conclusions. Set a timeframe and analyse that timeframe. You might find trends around a specific time of the day your ad was really successful. If that’s the case you’ll know for the next campaign to potentially spend more budget in those hours and less in others. Write a report or summary about your conclusions and take it to your next campaign as a resource. Following a process like this on an ongoing basis will help you create very targeted and detailed marketing content, and will allow you to improve your results. Measure why you achieved your desired outcome and try to understand why you didn’t if that was the case. Once you’ve found out the results, you can also put a costs to a per lead or per enquiry or per click basis to help you actually measure your ROI. The conclusion is that you can measure your return of investment when it comes to video marketing. BUT – you have to follow a structured and strategic approach in your efforts otherwise you potentially won’t reach your desired outcome and therefore won’t get to prove the ROI. Our team is always happy to guide clients when it comes to this process. Get in touch with us through our website or give us a call to chat in more detail.